Nine time WRC champion and part time retiree Sebastien Loeb is the factory guest driver for the Porsche Mobil 1 Supercup season opener in Barcelona this week end. Supercup is the the top of the heap of all the national Porsche GT3 single make series and runs as support to F1 races. This year Porsche has decked out one of the two cars it reserves for guest drives in historic Martini livery, making it instantly the coolest looking car on the grid. 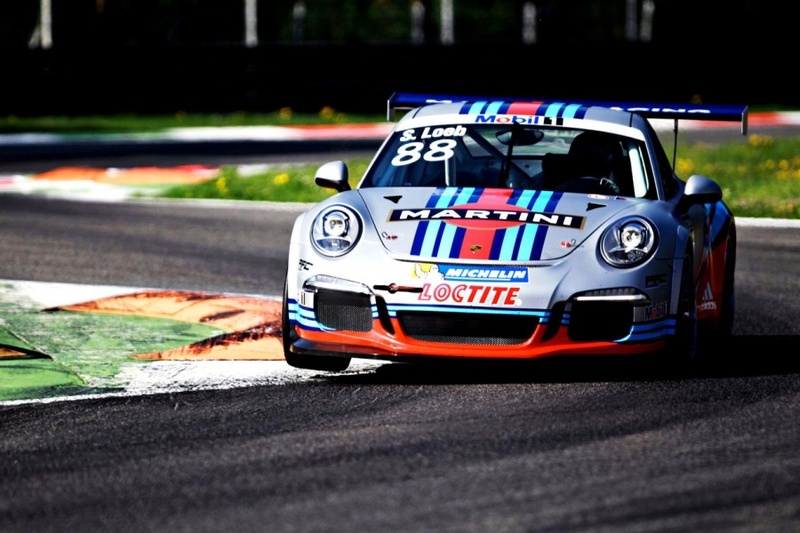 The race is the debut for the 991 GT3 Cup which will be available to all teams starting with the 2014 season. The race was won from pole by Sean Edwards from Nicki Thim followed by Michael Ammermüller. while these cars are very fast, it's mind-blowing to think F1 cars are a full 30 seconds per lap faster! here you ride with Kuba Giermaziak.